Anything and everything relevant to our Netduino contributions is committed to memory here. 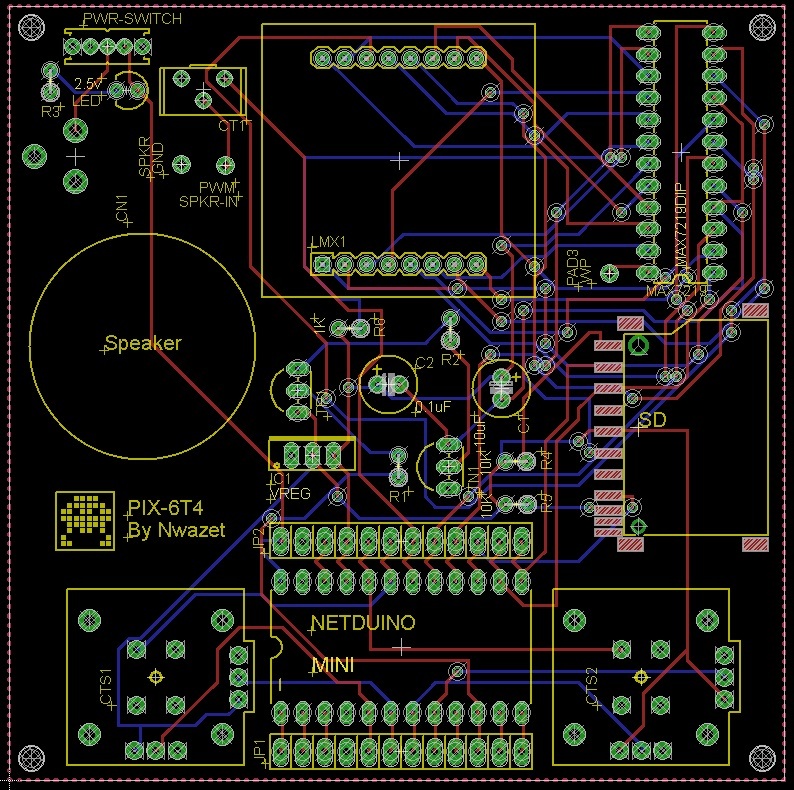 In addition, many of the Netduino articles currently posted on http://fabienroyer.wordpress.com/ will find a new home here. 'Hack A Day' blogs about the PIX-6T4 and Pete Brown's game development tutorial. PIX-6T4 Kits ready for launch! The PIX-6T4 test PCB has arrived and it looks great! Our PIX-6T4 test PCBs came in the mail today and they are beautiful! I can haz ze reziztorz! Ze wirez too.